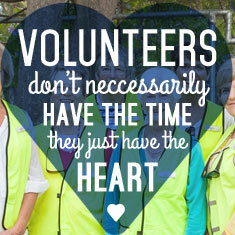 Thank you for applying to volunteer at Rescue Rehab South Africa. Volunteers play an important role in supporting the RRSA Team and assisting with the rescue and rehabilitation of animal welfares and pounds throughout South Africa. We trust that your time and efforts invested with us will be rewarding and satisfying. Please Note that receipt of this Application Form is not immediate confirmation of acceptance; it is for information purposes, until a volunteer is accepted in writing. You will be notified of acceptance and we will be in contact with as to the volunteering possibilities offered. Your support and willingness are much appreciated. 1. General information: Rescue Rehab South Africa is a non-profit organisation committed to the rehabilitation and upliftment of animal rescues and animal pounds throughout South Africa. 2. Health considerations: Working with animal and in animal welfare can be both physically and mentally demanding. Please keep this in mind when applying to volunteer. If you are immune compromised, taking immune suppressive drugs, or have conditions which may adversely impact your ability to cope with the demands, please reconsider. RRSA Teams work in urban as well as rural areas. Emergency access to medical care may be delayed or impacted by rain etc. 5. Accommodation and Catering: RRSA does not charge a volunteer fee. (We appreciate the donation of your time and services). RRSA will do their best to provide basic accommodation and food, depending on the location and the projects. It will be on a self-catering basis and travelling costs will not be covered, unless otherwise negotiated. 14. Research and Intellectual Property: RRSA retains all intellectual property rights to any training and orientation material, case records, research and information obtained whilst volunteering at the RRSA. Publication, distribution and use of any of this material or information are only allowed with relevant written permission from RRSA. No research may be carried out without the authorisation of the RRSA and the approval of relevant South African AUCC or Ethics Committee.